God has called every believer to co-labor with Him as He brings people into a meaningful, fruitful relationship with Jesus Christ. God’s ways are simple. 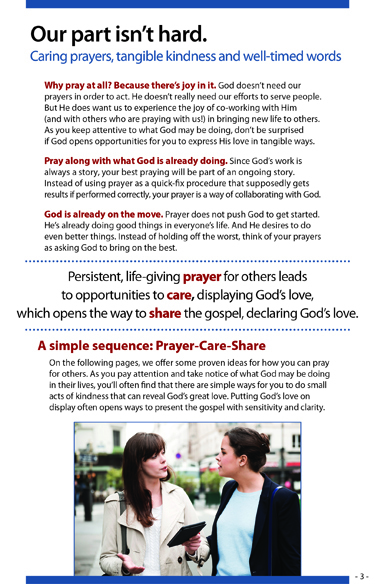 We all have a part to play that involves three integrated activities: First, we pray for others. Second, the prayer often leads us to demonstrate God’s love to them. 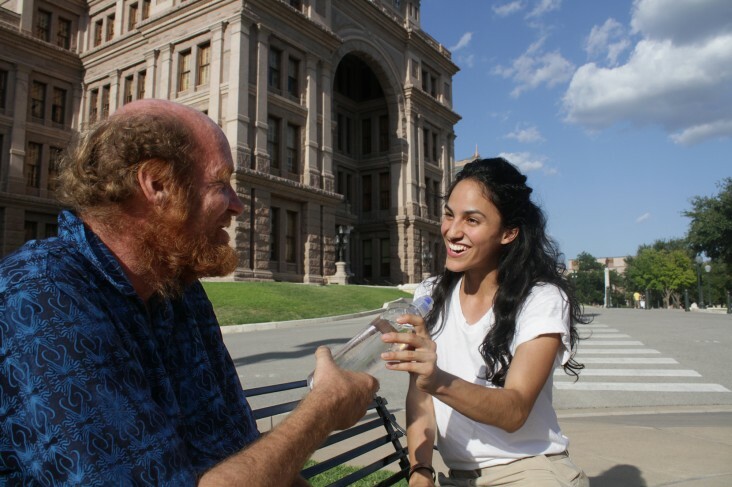 Third, acts of kindness can open ways to communicate the gospel. 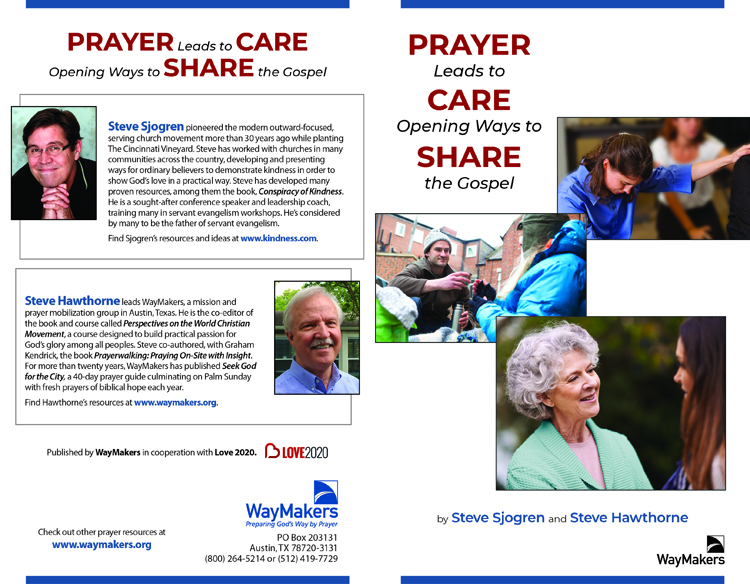 These three activities blend into a lifestyle called, “Prayer-Care-Share.” Prayer leads to Care and opens ways to Share. Download a practical ten-page PDF file. 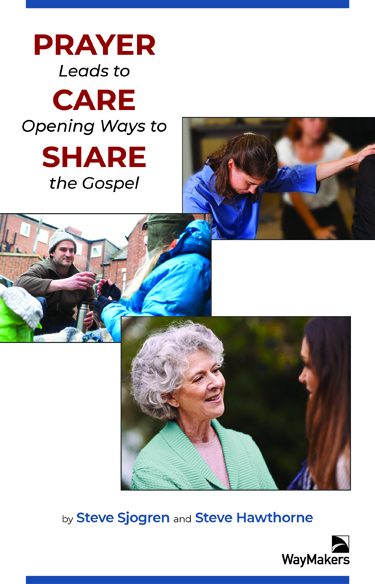 It’s packed with proven approaches and fresh ideas about a lifestyle of kindness and life-giving prayer that open the way for gospel conversations. By Steve Sjogren and Steve Hawthorne. The single pages format gives you ten pages, 5.5 inches wide and 8.5 inches tall. 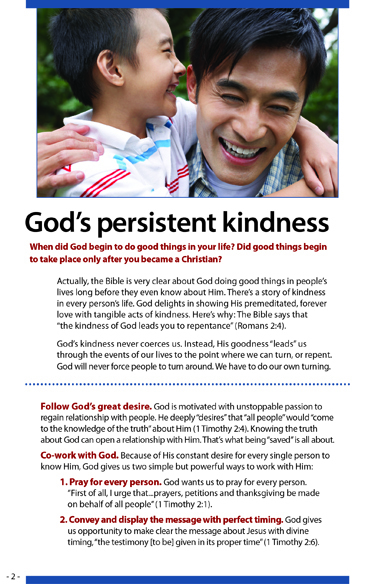 Many will find this format easy to read on a smartphone or a mobile device. Download a PDF of the single page format. The double page format gives you the same material, but arranged as two-page, “landscape” spreads, 11 inches wide and 8.5 inches tall. Many will find this an easy format to print. 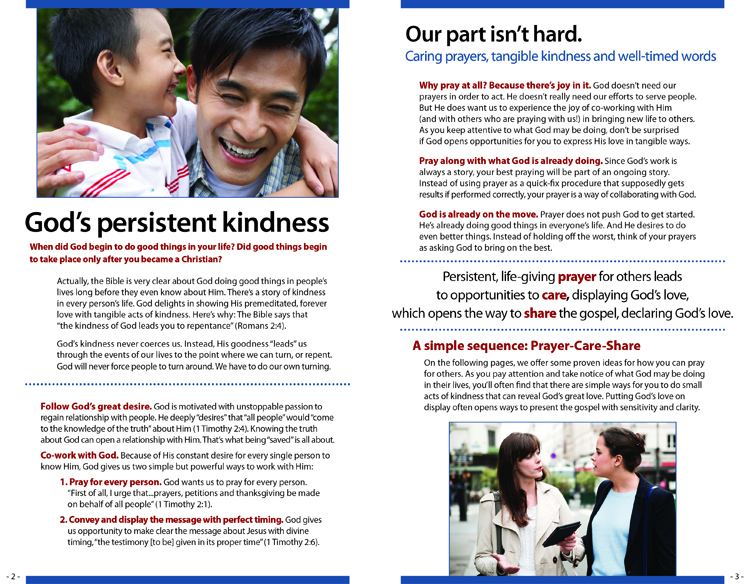 Download a PDF of the two-page spread.